Some are calling it a “surge”—10,000 apartment units teeming their way through the pipeline in Jersey City over the next five years. Others say it’s an “explosion” of development, and seem a bit wary of fall-out down the line. (Will rental rates, which have been throttling upward for years now, stop growing? Will occupancy, which is currently close to maximum, slacken?) 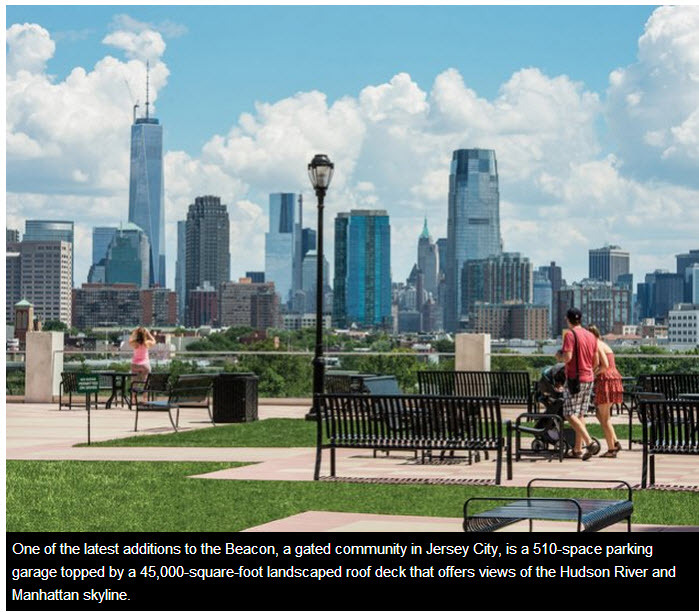 No one, however, describes Jersey City’s rapid transformation into a cool place for the Millennial generation to live as a bolt in the wrong direction. And everybody and his sister, it appears, is jumping in with a new project. “It has gotten kind of hard to keep track of all of them, it’s true,” quips Jonathan Kushner, whose KRE Group has just completed work on one project, 18 Park, in the Liberty Square redevelopment area and is in the midst of site work for another, Journal Squared. KRE is preparing to build the first of three huge, skyline-altering towers it will erect at Journal Square. The Journal Squared towers will be 54, 70 and 50 stories tall, with the iconic glass-faced structures to be built in that order. Journal Squared is just one of a larger group of towers approved for the neighborhood centered on a mass transit center with a heavily traveled commuter rail station and bus depot. Furthermore, a smallish project by comparison—56 loft units emerging at the former site of a vacant office building—is nearing completion. Matt Weinreich, a New York City developer who five years ago helped turn around a neighborhood in the West Village, is now focused on faded Journal Square as a place that can be alchemized into a dynamic urban niche, starting with his Kennedy Lofts. As New York City’s over-heated, uber-high-priced rental market appears likely to stay that way for the foreseeable future, and now Brooklyn is hewing to the same track, demand for comparable, close-in rentals on New Jersey’s Gold Coast has turned white-hot, developers say. 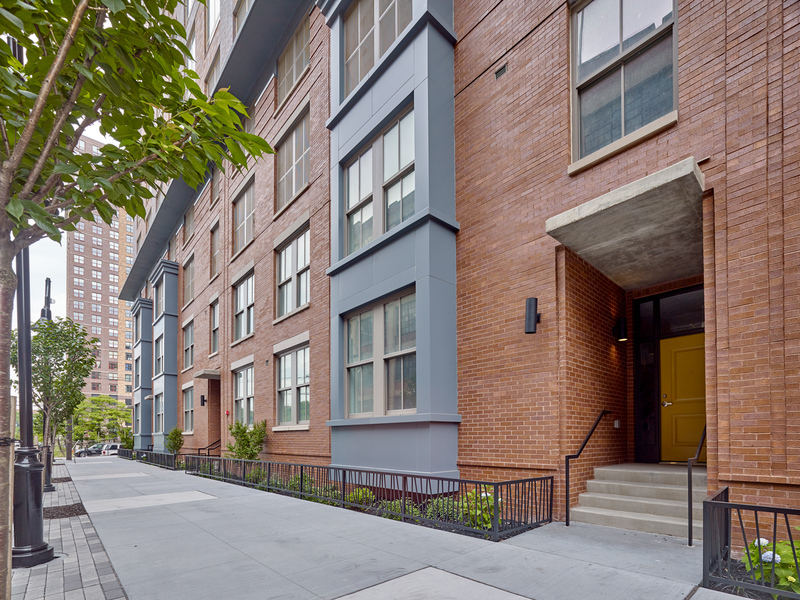 On April 8,Warren@York, a new building in the historic Paulus Hook neighborhood close to the Exchange Place PATH station in Jersey City, opened its 139 units. Half were leased within the first week. BNE, the developer, says 80% were taken within three weeks. 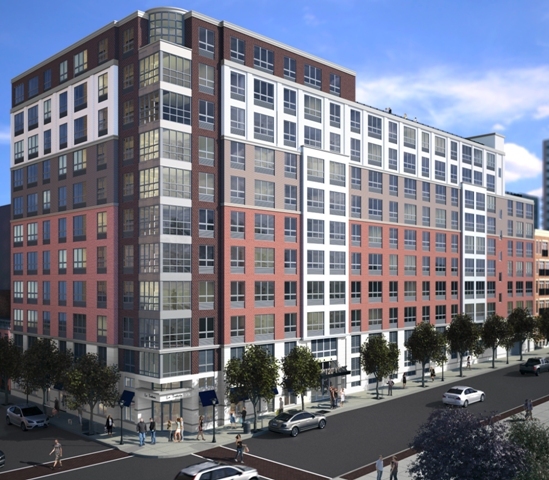 The boutique-style building has a 24-hour concierge and amenities that include on-site parking; it is also priced stratospherically for the “old” Jersey City: one bedrooms start at $2,130; two-bedrooms range from $3,125-$3,540 and with a den, up to $5,090; and three-bedrooms go for $4,375 to $5,690. The Northwest corner, along the city’s border with Hoboken, a neighborhood becoming known as NoHo, where the Cast Iron Lofts have opened and property trading is intense for future development. The Powerhouse Arts District Downtown, where Mill Creek Residential has just acquired an historic warehouse for $38 million that it will transform into 377 lofts, and Toll Brothers/Panepinto Properties has a 38-story apartment building under way. The Waterfront/Paulus Hook area, where three massive towers will rise at the Harborside complex and Warren@York is among several modest-sized developments. The Liberty Harbor North redevelopment area, where KRE is a partner in 18 Park, opening this month. KRE and Ironstate Development are co-developers of 18 Park, an 11-story, 422-unit tower pitched to appeal directly to those who might otherwise choose Manhattan or Brooklyn, with its feng shui design, Silver LEED environmental “cred,” lifestyle-of-the-minute amenities (plant-your-own-veggies on the roof) and the possibility of leasing a studio for as low as $2,000 a month. It is that last quality—comparative affordability—in addition to Jersey City’s incomparable PATH train connections to Manhattan (better than the commute from Brooklyn, since the ride is as short as seven minutes)—that is the key driver in the current proliferation of multifamily units. Besides 18 Park, Ironstate is also a partner with Mack-Cali in developing URL Harborside on the waterfront, another massive three-tower development that will add more than 2,000 units in Downtown Jersey City. The first URL tower is to rise above a parking structure “pedestal” now under construction at Mack-Cali’s existing Harborside office/retail complex. About three years ago, Mack-Cali made one of the first moves to transform itself into a multifamily market player from a primarily office-oriented developer/owner when it partnered with Ironstate on the plan to add residential to Harborside. Since then, Mack-Cali has acquired its own multifamily development division, Roseland, and plowed ahead with apartment development and acquisitions around the Northeast. Its URL project will be the company’s emblematic trophy in New Jersey, though, when it is complete, which could take as long as a decade. The common areas have been designed as “sanctuaries to liberate residents from the hectic realities of urban daily life, and encourage meaningful interaction, relaxation and mingling,” as per the architects. The units themselves are to be “move-in ready,” with built-in storage, LED lighting packages, desks and shelves, mirrors and window blinds; and keyless entry systems that permit entry via smart phone. “The idea,” says Barry “is to allow for tremendous living density in a small footprint.” At significantly less cost, of course, than in New York City across the mile-wide Hudson River. That part of the developers’ refrain is as inescapable today as Muzak once was in an office building elevator.